Switch Telecom’s range of Business VoIP Solutions will not only reduce costs. They will also give you the necessary time to focus on solving problems that you are passionate about. Moreover, we understand that as a business leader you are personally responsible for four or more areas of the business. Namely finance, human resources, customer service and operations. We understand that this is the reality of being an entrepreneur and as such have designed a suite of solutions that will assist you in managing, not only your business telephony but will also add value to multiple areas of your business. Best of all, our solutions will scale as your business grows. 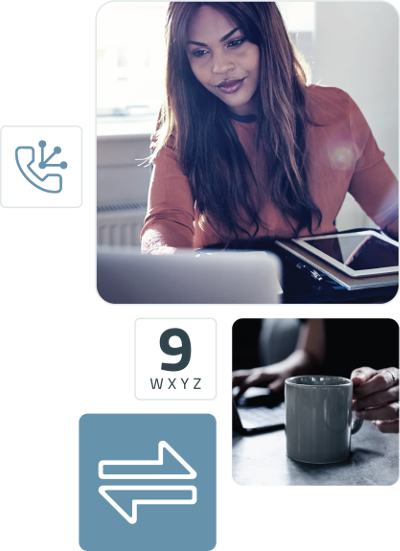 Are you looking for a switchboard solution that is easy to implement, has a low barrier to entry and can provide you with state of the art functionality? Choose the Switch Telecom Hosted Switchboard. Do you already have a VoIP PBX but need an alternative provider who offers a premium quality service at an affordable rate? Consider the Switch Telecom SIP Trunking solution. Your business is still growing and you don’t need a switchboard solution just yet? Start off with a VoIP Line and simply upgrade when the time is right. Save up to 50% on your monthly call charges because of Switch Telecom’s local, national, mobile and international rates. Choose from geographic or non-geographic telephone numbers or keep your business numbers by porting to Switch Telecom. Sign-up on a month to month contract. Receive free and fast remote support. Billing and call rate packages are simple to understand. With our easy to use online portal, you can manage your communication portfolio and easily measure returns.